If you live in Bunbury, Busselton or surrounding areas you will know that all your local carpet cleaners do not deliver the same results. Every four seconds, a carpet is cleaned by Chem-Dry. Chem-Dry cleans more than 330-million square meters of carpet every year. Chem-Dry technicians are in more than 10,000 households daily worldwide. Chem-Dry has become a trusted name in carpet cleaning for thousands of households and businesses for good reason. Chem-Dry’s carpet cleaning services are based on the three pillars we believe are a vital part of providing you with the safe, long lasting, quality carpet cleaning you and your home deserve. Whether you’re in Bunbury or somewhere else in the world, you can expect the same outcome from your fully trained Chem-Dry carpet cleaning technician. DRIER. Since the Chem-Dry carpet cleaning process uses 80% less water than typical steam cleaning, your carpets dry within hours, not days. So you and your family can get back to enjoying your home sooner. CLEANER. Just like club soda, our primary carpet cleaning solution is carbonated and penetrates deep into your carpets fibres, giving you the most thorough clean. And it doesn’t contain harsh chemicals, so no dirt-attracting residue is left behind and your carpets stay cleaner, longer. HEALTHIER. Our low-water, faster drying clean means less risk of mould and mildew growth under your carpet. These can result from the excessive water used by most steam cleaners. And our main carpet cleaning solution is green-certified, so it’s completely safe and non-toxic for your family and pets. That adds up to a healthier, safer carpet cleaning with results that last longer for your home in Bunbury, Busselton or nearby areas. Professional strength carpet deodorizer and sanitizer can help protect your home from everyday stains, unhealthy allergens and bacteria. 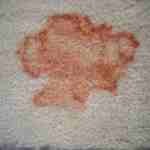 Your carpets get a lot of use and spills are inevitable. Over time, the factory-applied stain resistant treatment becomes less effective and fades away leaving your carpets susceptible to staining. Chem-Dry Protectants refreshes the performance of stain resistant carpets, creating a barrier around the carpet fibres to resist soiling and staining by allowing spills to be removed before staining can occur. PowerGuard Protectant® – This revolutionary carpet stain protectant not only gives a boost to your carpet’s stain-resisting powers but works well with solution-dyed carpets to help keep them looking clean. Repel Protectant – Repel Protectant works with all kinds of carpets by forming a protective shield around each carpet fibre. This liquid-repelling carpet solution doesn’t give stains the chance to set in, allowing your carpets to stay clean for longer. Wool Protectant – Chem-Dry’s Wool Protectant is a water-based solution specifically designed to enhance the stain resistant qualities of wool carpets and rugs. It defends against most liquid spills to stop carpet stains in their tracks. Does someone in your home suffer from allergies? Do you have children who love to roll around and play on the carpet? Unfortunately, carpets absorb and collect common allergens and germs that can spread illness, cause allergies and make asthma symptoms worse for you and your family. John from Chem-Dry Clean and Green uses Chem-Dry professional strength Deodoriser and Sanitizer to reduce tough odours and allergens, leaving your carpets clean, healthy and safer for your family. Sanitizes your home to eliminate unhealthy bacteria that can spread illness. Reduces common allergens from dust mites, pests, pet dander, mould, pollen and more. Special deodoriser reaches odours absorbed in your carpets so they aren’t just masked – they’re eliminated!